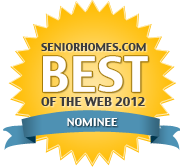 We distribute Pride Mobility and Golden liftchairs directly to your home anywhere in the continental USA. As the largest Internet dealer of Pride chairs, we are committed to providing quality products, at the lowest prices, with free shipping on every order. 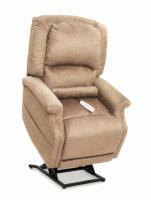 Over the years our professional staff has helped thousands of people with their lift chair solutions. We also provide a one-year, in-home service warranty with every Pride and Golden chair that we sell for USA delivery. This warranty covers both parts and labor for the first full year on top of the manufacturer's warranty! Also, check out our Toilet Seat Lifts. They are economical and easy to install. Of course, we provide free shipping on these items also. We have thousands of lift chairs in stock. In stock chairs ship in just a couple of days: We ship from, PA, IL, NV, TX, GA, and FL.